Here are the hard to find items you'll need to keep your car looking new. Please note ONLY GROUND SHIPMENT OF THESE CLEANING PRODUCTS IS POSSIBLE, NO INTERNATIONAL ORDERS PLEASE. 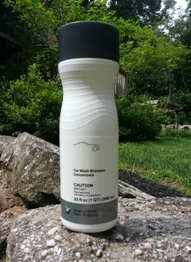 Aerosol containers and liquids cannot be shipped via air transportation. Genuine Sheepswool wash and dust mitt. Clearly the best we've found for washing or dusting your roadster. Genuine sheepswool lasts longer, holds more water, and feels softer. Natural sheepswool also makes a great duster, just a quick wipe and your dust is gone. Elastic cuff allows use of either side. I use two - one for the paint and one for the wheels. Try one, you'll never go back to a sponge again. Dry your car streak free, in half the time, using only this large 17"x26" long microfiber towel. Custom made for Duragloss, this fabric not only absorbs eight times its weight in water, but ALSO lifts away residual dirt that may remain after washing your car. Therefore, microfiber is better than a chamois, absorber, water blade or cotton terry towel, all of which only remove water. Using this microfiber drying towel will help avoid creating swirl marks, while other drying products may even cause swirl marks when residual dirt is pushed around over your car’s finish. 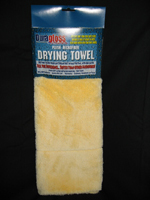 The Duragloss Plush Microfiber Drying towel is softer, thicker and larger than other microfiber on the market –. You will love the results you get using this drying towel, guaranteed! *Machine wash over and over and it will remain soft. Order several so you can alternate when drying and polishing. 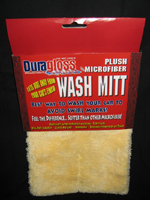 Using this Plush, long microfiber cloth, is the best way to polish your car to a more brilliant shine. It effectively lifts and removes wax or polish residue. This polishing cloth takes a lot of the work out of waxing and polishing. 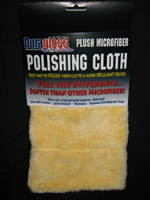 Softer and thicker than other microfiber on the market, it will not scratch. Leaves no lint. *Machine wash over and over. Fabric will remain soft. Size 11x17. This microfiber car wash mitt provides a better way to wash your car. It helps avoid creating swirl marks by lifting dirt away from your car"s finish. This mitt is made from long microfiber, which is softer and thicker than other microfiber on the market. Use over and over again - Mitt can be *machine washed and the fabric will remain soft, and will not scratch. Leaves no lint. Mitt is also handy to use around the house, to remove dust or wash windows so order more than one! This original BMW product is NO LONGER AVAILABLE (NLA). If your Z3 rear window is cloudy or scratched here is where to start. 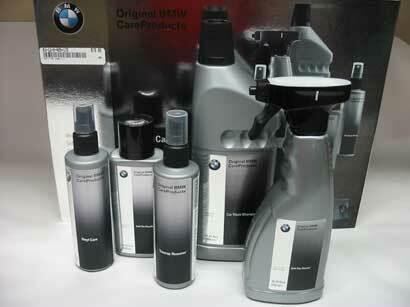 These are the products BMW recommends, in service bulletin 540500, you use to maintain the clarity of your rear window. CLICK on the or picture or title to see a great before and after picture. Meguiar's #17 and #10 are intended to be a restoration product. Meguiar's #18 is a maintenance product. 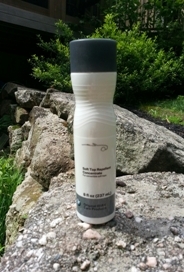 Start here - Safely removes hairline scratches, dirt and grime. Clear plastic that has lost its clarity due to significant contamination and fine scratches should be treated using the two-step process. Meguiar’s non-abrasive, alcohol-free Plastic Cleaner aggressively cleans and removes scratches without harming the surface. Follow up with the #10 Plastic Polish for a perfect finish - 8 oz. Use this one second - The finishing touch for maximum clarity and brilliance. Meguiar’s Plastic Polish provides the second step in the two-step restoration process for clear plastics. One easy application protects surfaces previously cleaned with #17 Plastic Cleaner. You will restore the natural brilliance, while leaving behind an anti-static coating that helps repel damaging dust and dirt - 8 oz. Use this on an ongoing basis - A single-step solution that keeps clear plastic surfaces pristine. Regain the original crystalline clarity of plastic in need of restoration, using this convenient all-in-one product specially formulated by Meguiar’s. Simply spray it on and wipe it dry. You will safely remove surface contamination and achieve dramatic results on everything from window panels to instrument lenses - 8 oz. Great for headlight lenses too! Not too stiff, not too soft. This brush is recommended by Haartz (fabric manufacturer) and RaggTopp for cleaning your fabric or vinyl soft top. If you use too stiff a brush severe damage may occur, too soft and it won't clean. Don't take a chance. This natural Horse Hair brush is nonabrasive, naturally soft, durable and exclusively designed to gently remove exterior debris from fabric and vinyl convertible tops. 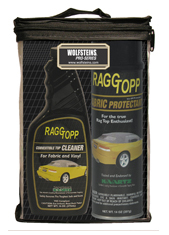 For best results, use with RAGGTOPP Fabric & Vinyl Cleaner to safely clean and release soil and grime from your convertible top. Safely lifts dirt without scratching the surface. Ultimate Cleaning Brush $15.95 $14.95 ON SALE! RaggTopp Cleaner (no protectant) $15.95 $13.95 ON SALE! 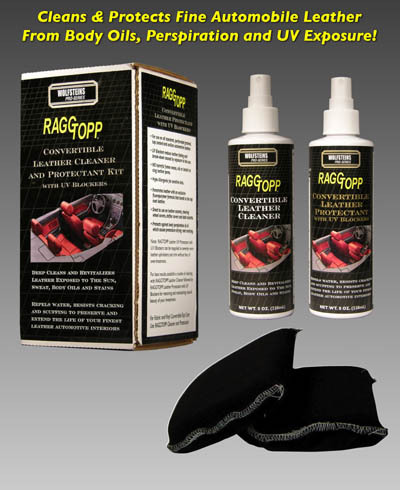 RaggTopp Cleaner & FABRIC Protectant Kit $41.95 $38.95 ON SALE! 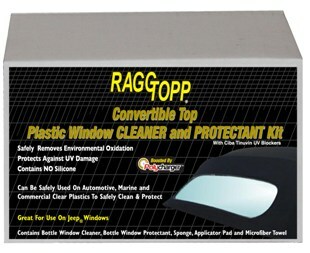 RaggTopp Cleaner & VINYL Protectant Kit $37.95 $34.95 ON SALE! Complete Car Care Kit The Stoner Complete Car Care Kit gives you everything you need to clean, shine, and protect your vehicle. You get all of our most popular products for only $49.95. It's a low-risk way to prove to yourself how Stoner products will help you get more shine in less time. 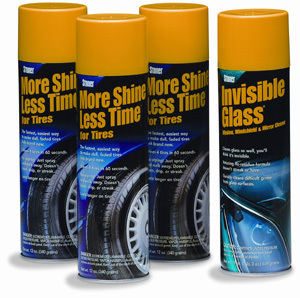 Invisible Glass Kit Invisible Glass cleans windshields, windows, and mirrors so well, you'll think they're invisible. Other glass cleaners use water and "foamy" surfactants or soaps. These inexpensive ingredients remove basic dirt, but leave "streaky" residues that are difficult or impossible to remove. 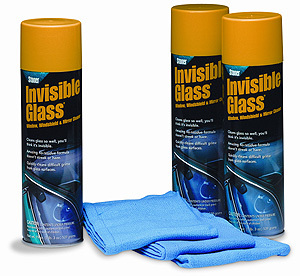 Invisible Glass cleans fast with a powerful, non-streaking, non-abrasive formula. It evaporates 100% and contains NO surfactants, soaps, or foams. Invisible Glass improves visibility for professional drivers, racers, and motoring enthusiasts. Quickly removes dust, dirt, bugs, sap, oil, grease, fingerprints, and more from glass. If you are a demanding auto detailer, a finicky car collector, a show-car exhibitor, or simply want an extremely clear and streak-free view, you need Invisible Glass. Kit includes: 3 cans of Invisible Glass 3 Glass Cleaning Towels. 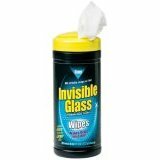 Stoner Invisible Glass Wipes. A must have for every road trip. Stores easily in trunk. Invisible Glass ULTIMATE Kit contains everything you need to Make Glass INVISIBLE! This 28 piece kit (worth $45.00) for just $34.95. This Kit includes: Invisible Glas, Reach & clean Tool, Raid Repellent, Headlight Restoration Kit, Lens Wipes, Mocrofiber Cloth. Invisible Glass cleans windshields, windows, and mirrors so well, you'll think they're invisible. Other glass cleaners use water and "foamy" surfactants or soaps. These inexpensive ingredients remove basic dirt, but leave "streaky" residues that are difficult or impossible to remove. Invisible Glass cleans fast with a powerful, non-streaking, non-abrasive formula. It evaporates 100% and contains NO surfactants, soaps, or foams. Invisible Glass improves visibility for professional drivers, racers, and motoring enthusiasts. Quickly removes dust, dirt, bugs, sap, oil, grease, fingerprints, and more from glass. If you are a demanding auto detailer, a finicky car collector, a show-car exhibitor, or simply want an extremely clear and streak-free view, you need Invisible Glass. Tire Shine Kit You won't find a better way to make tires look their best than with More Shine Less Time for Tires (MSLT). This long-lasting, spray-on coating makes dull, faded tires look brand new in seconds. Used by finicky auto detailers and enthusiasts for more than 15 years. Other brands don't last because they're made with water and surfactants (soaps) that evaporate and wash off easily with water. MSLT contains NO surfactants or water so it lasts longer and actually REPELS water and waterborne dirt. MSLT won't "brown" your tires like other brands. MSLT typically lasts for weeks on your tires but it's not a paint. It's clear, non-greasy, and doesn't run or drip. Won't harm wheels. MSLT is NOT a messy foam or drippy liquid. 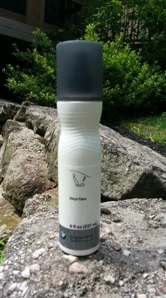 This easy-to-use aerosol needs no wiping. Apply 1 coat for a dull satin finish, 2 coats for high gloss. In just 15 seconds per tire, get a dark, non-streaky, like-new appearance - with NO rubbing or rags and NO dirty hands or mess. Provides UV protection. Use anytime, even on wet tires. Order now and get 3 cans of MSLT for Tires plus a bonus can of Invisible Glass window and mirror cleaner (4 cans total). If you are purchasing touch-up paint consider the Langka product above to do the job right. This is the Official BMW Z4 touch-up paint. Each kit contains two bottles, the touch-up paint in the color you have selected and a bottle of clear coat to finish the job. CLICK on the PICTURE or TITLE to find the location of your paint code. This is the Official BMW Z3 touch-up paint. Each kit contains two bottles, the touch-up paint in the color you have selected and a bottle of clear coat to finish the job. NOTE: You will need touch-up paint to use this product. 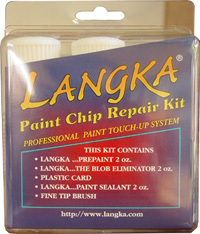 Langka Paint Chip Repair is the easiest way to repair ugly paint chips and scratches! Just clean the chipped area, apply your touch up paint (not provided here) to the chip, wait till it is dry to the touch, apply Langka and the paint surface is smooth just like new! Langka removes excess touch up paint leaving the chip area smooth and even with the paint on your vehicle. Safe for all painted surfaces and clear coat paint. 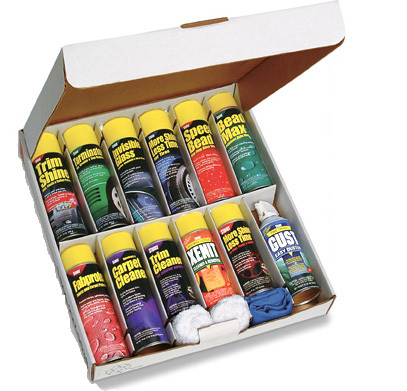 This complete kit contains all the items necessary for repairing your paint chips and deep scratches. All the items are packaged in a single package (except the touchup paint) for easy storage and with complete directions. One 2 oz. bottle will repair more than 50 paint chips. For Paint Chip Repair and Paint Scratch Repair: Just apply your color matching touch up paint (not provided here) to the paint chip or paint scratch, let dry for 2 to 4 hours, and then remove the BLOB of excess paint in 15-30 seconds with the Blob Eliminator leaving the paint inside the paint chip or paint scratch WITHOUT affecting your original paint. The Kit includes; PREPAINT 2oz, the original LANGKA Blob Eliminator 2oz, Paint Sealant 2oz, and fine tip paint brushs. Click on the title or picture to see how it works and CLICK " HERE" to visit Langka’s web site and view their how-to video. 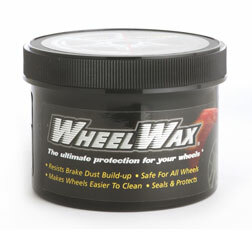 WheelWax - Reduces Brake dust while making your wheels easier to clean. Goes on easy, removes residual brake dust from wheels that washing leaves behind. WheelWax is a soft paste that contains an antistatic agent that changes the surface polarity of your wheels to repel negative brake dust particles. Buffs all wheels to a high shine in no time. Keep a good coat of WheelWax on your wheels all year round for great looking wheels in between washing your car. 8 oz container. This is a must for all roadster owners. The rubber seals around the convertible top on your roadster are a critical maintenance area. Over time the rubber dries out and shrinks which creates water leaks and wind noise and cracks in the rubber. If your top leaks this most likely will solve your problem. Wurth, a trusted name in automotive lubricants, Rubber Care Gel Stick is the same as Gummi Pflege Rubber Maintenance Stick that is no longer available from BMW (Part Number 82-14-9-407-015) just in liquid form with a foam applicator instead of a messy gel. It is perfect for protecting and revitalizing rubber seals. Silicone free, resistant to dilute acids, alkalis, spray and salt water. Does not attack painted or chrome plated parts. Applying to door & window seals will keep the inside of your car watertight. To remain functional, door and window seals should be treated 3 to 4 times a year. Use your bottle of Gummi Pflege to treat all rubber seals. To use, simply prime the bottle's pump head and gently rub the foam applicator tip over your door, window, hood, trunk, and most importantly your convertible top seals. Allow the Gummi Pflege protectant to soak in and dry (do not wipe it off, let it sink in). Wurth, a trusted name in automotive lubricants, Rubber Care is the same formula as Gummi Pflege Rubber Maintenance that is no longer available from BMW (Part Number 82-14-9-407-015) just in aerosol form. It is perfect for protecting and revitalizing rubber seals. Resistant to dilute acids, alkalis, spray and salt water. Does not attack painted or chrome plated parts. Applying to door & window seals will keep the inside of your car watertight. To remain functional, door and window seals should be treated 3 to 4 times a year. Use your can of Gummi Pflege to treat all rubber seals. To use, shake can, apply to a clean cloth, wipe over your door, window, hood, trunk, and most importantly your convertible top seals. Allow the Gummi Pflege protectant to soak in and dry (do not wipe it off, let it sink in). Original BMW Car Wash Shampoo – Liquid cleanser for washing by hand. It removes stubborn soiling while conserving the wax coating of painted surfaces. Long lasting suds. Original BWM Express Wax – A fast-acting liquid care product for long-lasting shine and protection of all painted and metallic surfaces. This original BMW product is NO LONGER AVAILABLE. Original BMW Hard Wax provides top-quality surface protection for all metallic and non-metallic paintwork by means of powerful polymers. Also suitable for chrome, painted plastic parts and for sealing alloy wheels. Original BMW Insect Remover makes short work to get insects off your BMW. A special cleaner that reomves even the most stubborn insect remains quickly and gently from glass, paintwork, chromed and synthetic surfaces, without damaging the surface. 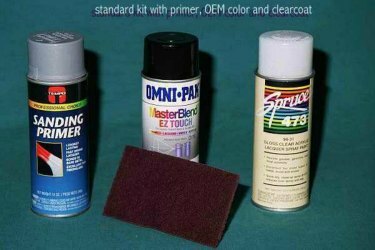 Original BWM Soft-Top Care Kit – Everything needed to keep your fabric top looking new! 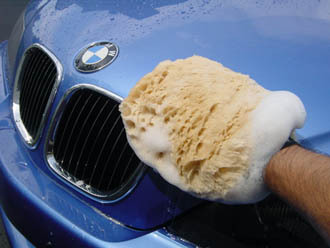 Original BMW Vinyl Care – A deep care product with silicone for all synthetics in and around the vehicle, such as in the cockpit, door trim and bumpers. The care agent protects against brittling and graying, provides anti-static protection, restores a silky mat finish to the vehicle interior, Scented. Not to be used on windows or steering wheels, seats or pedals. Soft-Top Cleaner - Original BWM Soft-Top Cleaner – For cleaning of all usage and environmental related soiling of light and dark soft-top fabrics. Please note: do not use in harsh sunlight. Any residue left on the paintwork should not be allowed to dry and must be immediately washed away. An after-treatment with Original BMW Soft-top Repellent is highly recommended. Car Wash shampoo - Original BMW Car Wash Shampoo – Liquid cleanser for washing by hand. It removes stubborn soiling while conserving the was coating of painted services. Long lasting suds. 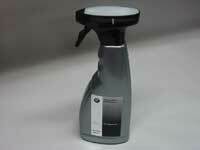 Soft-Top Repellent - Original BWM Soft-Top Repellent – For impregnating cleaned BMW convertible and roadster soft-tops. Treesap Remover - Original BWM Treesap Remover – Cleaning product for dependable cleaning of stubborn tree sap or bird droppings from convertible soft-tops, paintwork, synthetics and glass. Consider adding the Ultimate Cleaning Brush at Checkout. Original BWM Soft Top Repellent Concentrate for impregnating cleaned BMW convertible and roadster soft-tops. Original BMW Tar Remover makes short work to get tar off your BMW. 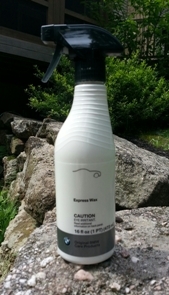 If you have tree sap on your paint or convertible top this product will remove it quickly. 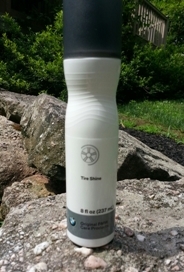 Original BMW Tire Shine helps retore the new tire look to your BMW. 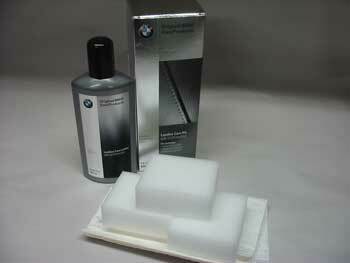 Original BMW Vinyl Care helps the vinyl in your BMW look new again. Original BMW Interior Cleaner with Fresh Scent cleans textiles and synthetics quickly and thoroughly, even difficult soiling while emanating a plesant scent in the vehicle interior. Original BMW Wheel Cleaning Gel – Quickly and carefully removes stubborn road grime. Thanks to its gel-like consistency it remains where it is needed and provides a lustrous glow. Original BMW Leather Care Lotion with UV Protection – For the cleansing, protection and care of leather interiors in BMW vehicles, Don not use on porous surfaces such as buckskin, suede or velour. Features UV protection, High-quality, rejuvenating oils preserve the natural beauty of the leather. Restores resiliency, while enhancing the natural leather smell. Comes in a kit with three application sponges and removal cloths. This 32 oz. bottle of Croftgate TIRE SHINE is formulated with the highest quality ingredients by a team of scientists dedicated to producing quality products with the lowest environmental impact. To help protect the environment, and your tires, TIRE SHINE does not contain any petroleum solvents which can adversely affect the structure of the tire and leave a brown rather than dense black finish. This product is used on both the wheel and tire. A great way to keep your car clean in the winter months! This 32 oz. bottle of Croftgate AQUANIL-X is CroftgateUSA's advanced blend of detergents, advanced waxes and multiple macro polymers first breaks down and then suspends dirt and grime. AQUANIL-X then replaces it with a protective layer of macro polymers and wases, leaving your vehicle clean and with a longer lasting shine you can be proud of. Anti-static contained in AQUANIL-X will keep dust off your vehicle surfaces longer and make the dirt easier to remove.